[fa icon="plus-square"] What is the size of a mascot? Because all of our mascots are custom created for you, we tailor fit our mascots to your performers size requirements. If you have multiple performers who will be wearing the mascot costume, we create the mascots to your required size ranges. [fa icon="plus-square"] How long will it take to design and build my mascot? 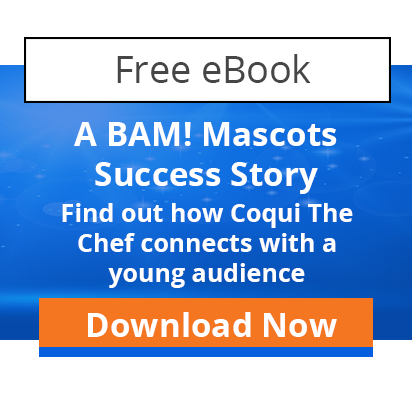 There are several factors that will impact delivery time of your mascot. Design complexity, production methodology, raw material requirements - all of these things can affect the time frame for completing your mascot. This much we can promise you - once we agree upon a date for completing your character for delivery, your mascot will be completed on time! [fa icon="plus-square"] How much say do I get in the look of my mascot? You get 100% control! Our task is to ensure that we understand precisely what it is that you want, and to clearly describe the options we can offer to meet your needs. We will happily offer guidance, but it is you who determines its look, what it is made of, its color - everything! [fa icon="plus-square"] How much does a mascot cost? So many things impact cost - raw material choices, general design, accessories - each costume has its own details and characteristics, all of which can impact the pricing of your character. With each quote we offer, we will make you aware of what these different options are, and give you as much latitude as we possibly can to help you stay within your budget. [fa icon="plus-square"] How long will my mascot last? Many things go into determining the life span of a mascot. With proper care, handling, maintenance and storage, there is no reason that your mascot costume can't last a lifetime! [fa icon="plus-square"] How comfortable is a mascot costume to wear? Each mascot is designed with useability and performer comfort in mind. The bodies are made to provide maximum mobility, and the heads include a ventilation system designed to maximize the flow of air inside the mascot, making the performer as comfortable as possible. For those extra hot summer days, cooling vests are also available. [fa icon="plus-square"] I want to have a mascot of a well known cartoon character! Due to licensing and copyright laws, we cannot make or reproduce the likeness of any copyrighted or protected characters, unless you have demonstrable permission from the copyright holder to have the character made. However, we can offer solutions that might suit your need just as well, so please don't let this discourage you. 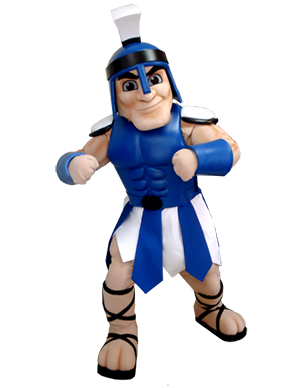 Your vision plus our expertise equals a mascot that will exceed your expectations! [fa icon="plus-square"] I want a mascot that looks like a real person. Is that possible? Absolutely! From private citizens to famous celebrities to politicians, we can make a mascot that will meet your vision. 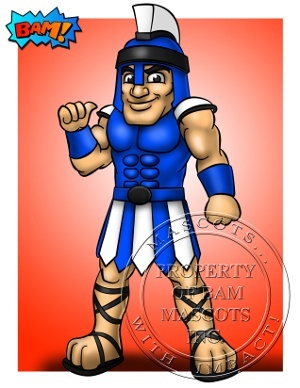 Check out our “People” Mascot section.